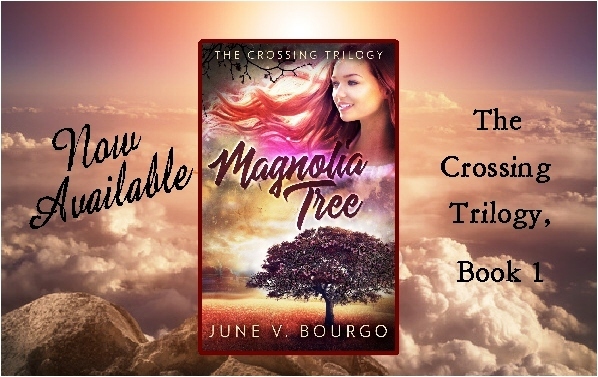 I am pleased to have June V. Bourgo as my interview guest for the month of July. June has been a guest of mine before on my website. In the early days of hosting authors I had them write a blog about their personal journey becoming an author. This time June participated in my interview questions and answered all of them. There are some interesting answers to these questions and I quite enjoyed them. Hope you do too. Welcome and thank you June! Do you remember the first book you read that had an impact on you – in what way and what was the name of that book? My first book and then the series was The Nancy Drew Series. 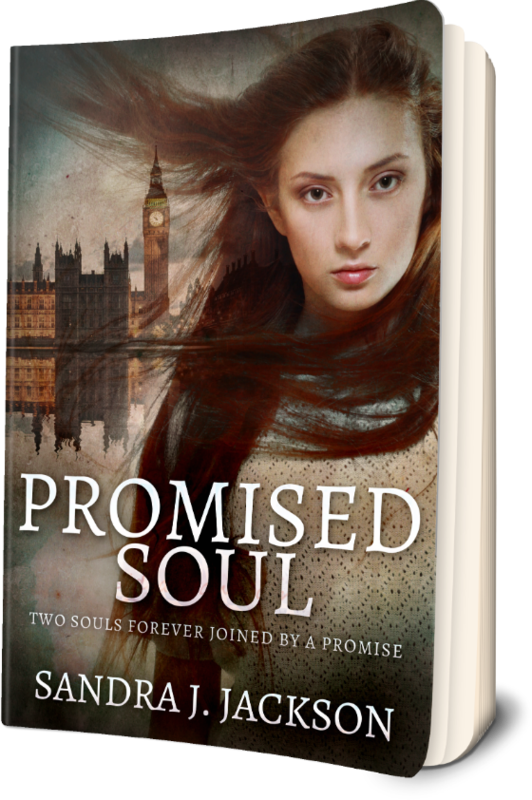 I was enthralled with this strong female character who solved mysteries. I fell in love with California and wanted to live there one day lol. Her books impacted my desire to write books with female protagonists and I got to live on the West Coast on an island too. 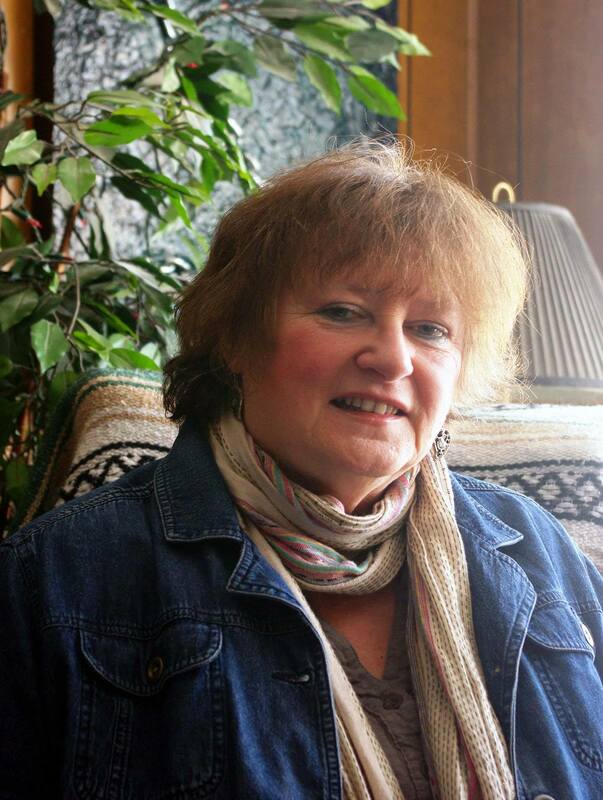 I’ve always wanted to write novels but life took me in other directions until my fifties. That’s when I seriously started my first novel. My favourite authors are Alice Munro, Barbara Delinsky and Chevy Stevens. My favourite thing is the research. I love learning about new things that I didn’t know before. My least favourite is editing, probably a common author complaint. Wow, I’m not really sure. Although, I will say my first novel was inspired by an abusive first marriage. Sometimes from real-life events I see on the news, or something I see out and about will trigger a story idea. But most of the time, I wake up in the morning and ideas just pop into my head. I love to sing; the classics, blues, jazz are my favourites. I once belonged to a group called Nostalgia. We sang songs from the 40s through the 90s. Eww…this is a hard one. I’ll say Space Odyssey, originally a book made into a movie, because if it’s just for a day, what a great adventure. But wouldn’t it be great if we could go into our own books while writing them and experience a day? What a great insight we could achieve, might help with that dreadful editing. Mostly, made up. The odd character is based on people I know (usually the not so nice people…just kidding). Have you ever created a character “out of thin air” only to run into someone in real life that reminds you of that character either in personality or their features? No, this hasn’t happened to me as yet. Although, sometimes I will see an actor and think they could play a certain character in one of my books. Painfully! I like my titles to reference what is happening in the book in some way. I usually type up a list of potential titles and cross them off. The remaining titles I look up online to see if other have used that title. Sometimes, I have to start a new list. The hardest name was for my first book, after that it got easier. I’m working on two books. One is Book 2 of The Crossing Trilogy, Chameleon Games. 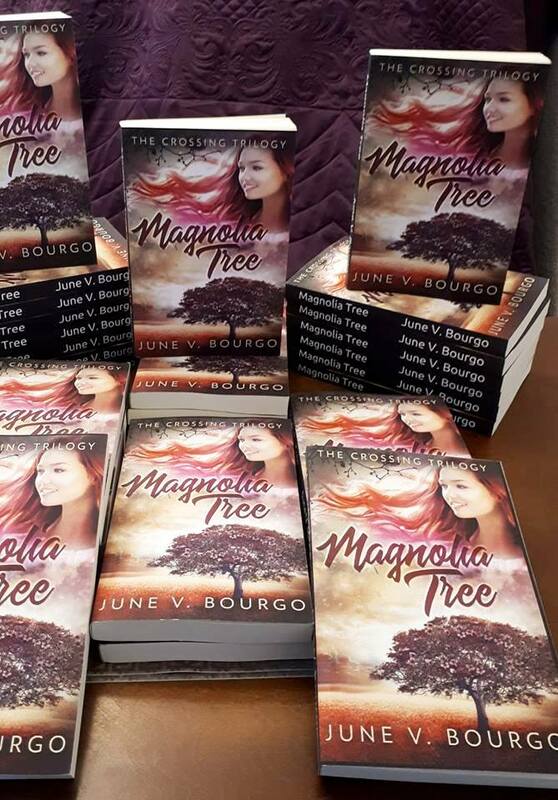 It’s a sequel to Magnolia Tree, Book 1 but I can’t tell you what it is about because it would be a spoiler for the ending of Book 2 lol. The second book I’m writing with my husband. It’s a one up fiction book called Cash Boat. It’s about the herring fishing days, a suspense, mystery. This is my husband’s idea and he did a lot of research for it but he wants me to help him write it to build on both of our writing skills. It’s a fun project as long as our differing ideas about the plot line don’t lead us to divorce court lol. 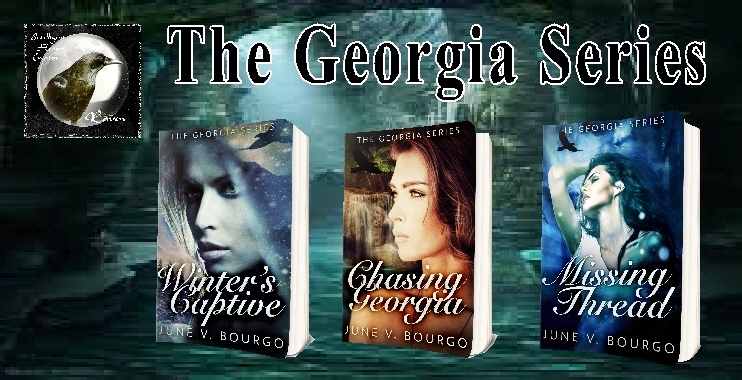 Winter’s Captive won The Reader’s Choice Award-Judges Pick for 2017, and all three books of The Georgia Series and Magnolia Tree each won a reviewers 2-Thumbs Up Award. Spend some time in Haida Gwai. An island off the northern coast of British Columbia. It is supposedly a very spiritual hotspot. Can you tell us about an embarrassing/funny moment? It wasn’t funny at the time, but we laughed about it later. Once in Hawaii, I was sitting on the floor with metal curlers in my hair under a hairdryer. The hotel generator blew up and there was a fire. I got zapped through the wall outlet and was totally a zombie. My sister had to lead me out of the room, help me climb through a window at the end of the hall onto the roof of the hotel next door. I got through it without any damage (I think, but some may beg to differ lol). I was so out of it, that climbing out a window twelve stories up didn’t even faze me. I was like, okay, let’s do this. What’s next? Have you ever experienced something weird you could not explain? Many times. I experience pre-cognition and have ‘dreams’ about things that have or will happen. I thank my mother for passing that along, as she experienced the same thing her whole life. Are you superstitious? Do you have any rituals for good luck? Whenever we go on a highway drive, I always have a ritual meditation I do to protect myself, other occupants and the vehicle. I have to do it now or I feel unprotected. But having said that, I’ve never been afraid of Friday the 13th, never had a bad thing happen ever. I guess that would be frogs legs and octopus. But I’ve since learned that octopus are the most intelligent species on the earth and I’m sorry I ate one. Do you have a favourite vacation spot? Where? Anywhere in nature. I’m fortunate enough to live on an Island surrounded with water, trees, and mountains so I don’t have to go far to enjoy it. It is so inspiring for my writing. Can you tell us about one of your favourite childhood memories? Camping in Vermont on Lake Champlain at a place called Grande Isle. It was so much fun and so beautiful. I think that’s where my first love of nature began. And we always went to the outdoor drive-in movie theatre and we got to sit in the car in our pajamas and eat junk food while we watched the movie. When I was younger, travelling for sure. Now I’m older, walks in the evening along the oceanfront with my husband, hikes, and holding a new paperback of my latest book release in my hands for the first time. Walking, spending time with family, especially my grandkids, exploring spots on the Island we haven’t seen before. Have you ever met anyone famous – who? Ha! I have a tendency to ‘run into’ famous people lol. I met ‘Soupy Sales’ in Montreal racing back to work one lunch hour. We collided and he held onto me and we danced in a circle to keep from falling down. Did the same thing with Lou Rawls, the singer in Hawaii. He was racing to his next show and was late. We shared a little dance as well. I’ve met Bo Svenson, the actor. He lived in our neighbourhood for awhile. Boy, is he tall and a total flirt. And Bruno Gerussi lived and filmed Beachcombers in our town. He was a fixture and we all knew him. In fact, my husband looked a lot like him in those days and was mistaken for him on the ferry many times between Vancouver and Gibsons. It’s Official – Your book is the WINNER of the sci-fi category in our 2018 Golden Quill Award Contest! Thank you, Sandra. It was a fun interview and I hope your readers enjoy my answers.